This gorgeous one-of-a-kind, two home property sits on 18.7 acres & is the perfect place to enjoy nature in a private oasis. 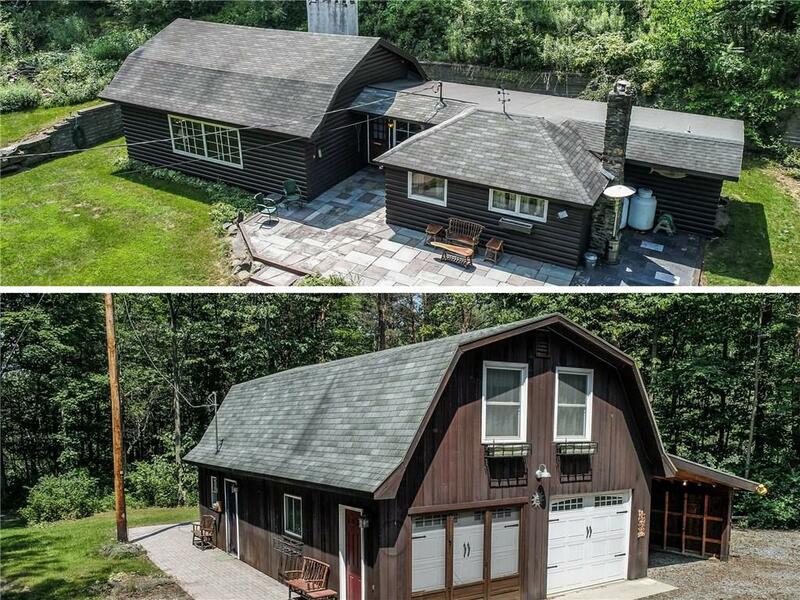 The log home (1560 SF) features a huge custom great room with radiant heated floors, vaulted ceiling, hardwood floors, large stone wood burning fireplace, large windows & stone patio. The bedroom offers a stone wood burning fireplace and built in storage. In the custom barn-style guest house (1024 SF), you'll enjoy the rec room with custom bar, family room w/ beadboard accents, gas fireplace, eat-in kitchen, two spacious bedrooms upstairs w/ a large 2nd story deck. You'll enjoy rippling Mill Creek. Walk or drive an ATV across the bridge to a large yard, two outbuildings, recreational ops & gazebo. Plenty of trails, hunting and views on the mountain behind the homes. Directions To Property: From Route 64 In Bristol, Ny Head East On Route 34. Route 34 Will Turn Into Route 33 (A.k.a. Egypt Valley Road). Property Will Be On The Left Side Of The Road At 4.4 Miles, Past This Junction.